Personalizing your work space can make a huge difference for your motivation and mood at the office, especially during those busy, crazy days. Having items at work that remind you of happy times, of home and of your family and friends is a great custom which has lasted in time in spite of all the changes the technological revolution brought to the workplace culture. 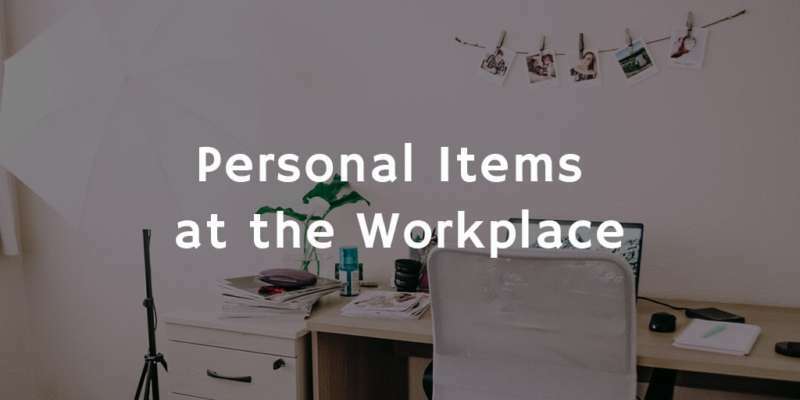 Yet one ought to be careful when choosing what to bring to the workplace, because those items speak volumes about our personality and character. Having pictures of your family is perhaps the oldest custom when it comes to personalizing your work space. It seems a photo of our loved ones reminds us why we work so hard, what is the end goal. Obviously, there is nothing wrong with placing framed pictures of parents, siblings, romantic partners, children and friends. Lately, it has become customary also to place pictures of beloved pets – that is also fine, but with some limits in mind. A picture of your dog, cat, fish, snail or tarantula is fine – a thousand is so overboard. Pictures of your friends are also nice because they underline your outgoing personality, but drunk pictures of you with company should remain outside your co-workers preview. It is best to keep the most precious moments to yourself. The topic of souvenirs at the workplace is similar to those of pictures at the workplace – you ought to choose carefully how much of your leisure activities and personal life you desire to make public for your colleagues. A memory of a great experience captured by an item that reminds you of it can always brighten your mood, and if the item’s meaning isn’t all that obvious it can serve as a conversation starter so you can bound with your co-workers. It is totally fine to have a seashell, snowball, miniature car or even a stuffed toy, but a box filled with: empty alcohol bottles, handcuffs and such is inappropriate under any circumstances, no matter how cool your co-workers are. A usual 8-hours a day / 5 days a week work arrangement means you spend almost a third of your time at the workplace and thus it is important to make yourself comfortable there and be prepared for unexpected situations. a pair of shoes – if your work attire is too official and you would prefer using something more comfortable to get to work and back or in case you are worried your heal might break. Some companies (if you are not dealing with clients directly and the office is closed to the public) offer their employees the opportunity to wear slippers at work for more comfort and feet health. Yet, bringing your party dress and your whole set of makeup on daily basis may send the wrong message, that you are more interested in whatever will happen after work, instead of focusing on your job. Following up on the fact that we spend a lot of time at work, it makes sense to try to have some of the comforts we have at home. A good example for that is bringing food to work – many prefer to have home-cooked meals at work for health, dietary or financial reasons. It also saves time, instead of having to go to a restaurant and waiting to order and for the meal to be prepared. Some offices have lunch rooms, leisure rooms and even kitchens for employees to prepare or at least re-heat their food at work. Most workplaces have at least a coffee machine and water dispenser. In that spirit- bringing your favorite coffee mug, a set of spoon, fork and knife (in case there is a lack of such) and even a plate might be a great idea, as long as you keep it as simple as possible. In most cases bringing a pot and frying pan would be too much. On that note – we all have different food preferences, especially as it comes to spices, but try to remember that you share the space with your colleagues and they might find unpleasant certain smells, so try to avoid potent spices like garlic, mustard, onion and such.